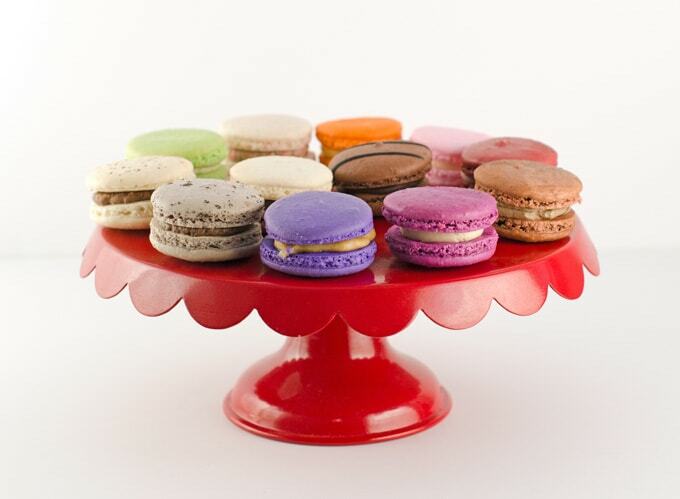 Looking for an elegant foodie gift that is affordable or just love macarons yourself? Check out our Dana’s Barkey Macarons Review to see if they’re worth buying. I received a complimentary box of macarons in order to facilitate this Dana’s Bakery Macarons review. While I love baking and find it relaxing, I also enjoy trying a variety of goodies at various bakeries I come across. It’s usually quite difficult for me to choose just one thing so I usually walk out with a whole box of beautiful desserts to try. Every now and then I have to grab a bright and gorgeous macaron as I’ve never dared to make them myself. There are so many things that have to be perfect to make delicious macarons so I haven’t been quite brave enough to try making them yet. Honestly, I still don’t see myself giving it a try any time soon either after getting to experience this Dana’s Bakery Macarons review. 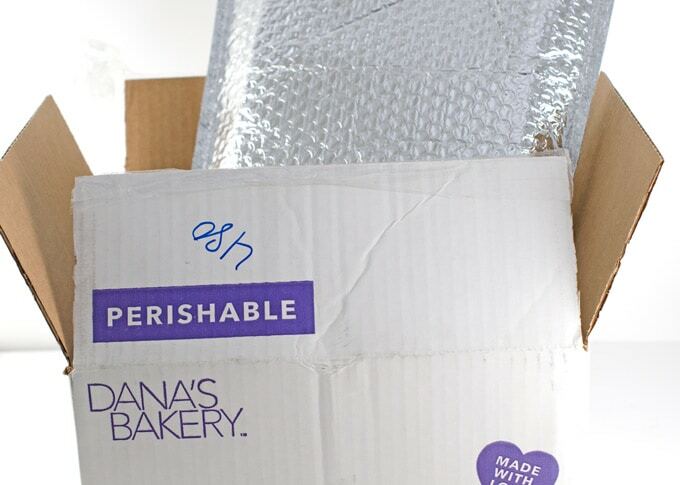 Dana’s Bakery started back in 2012 in a small kitchen in New Jersey. 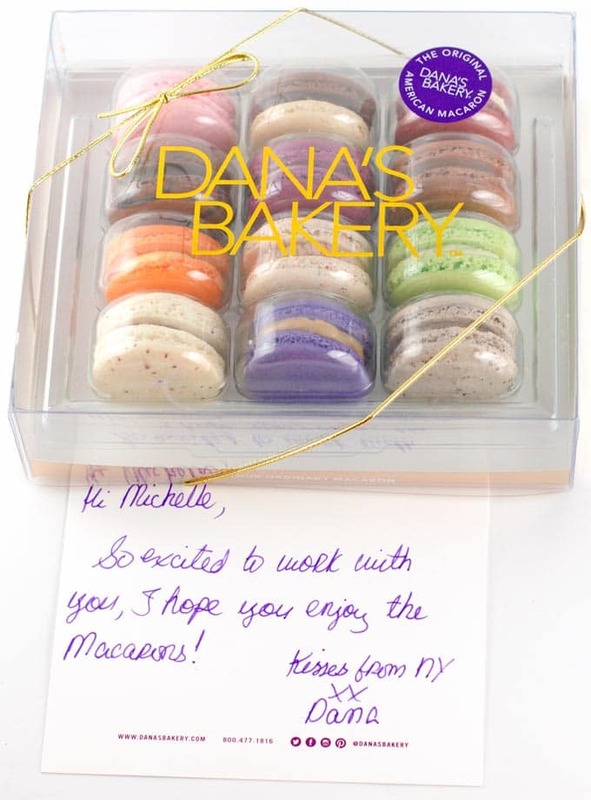 In the past few years, Dana’s Bakery has grown to include a shop in New York City where you can buy the macarons and even take a class to learn how to make them, or have them shipped fresh throughout the United States. 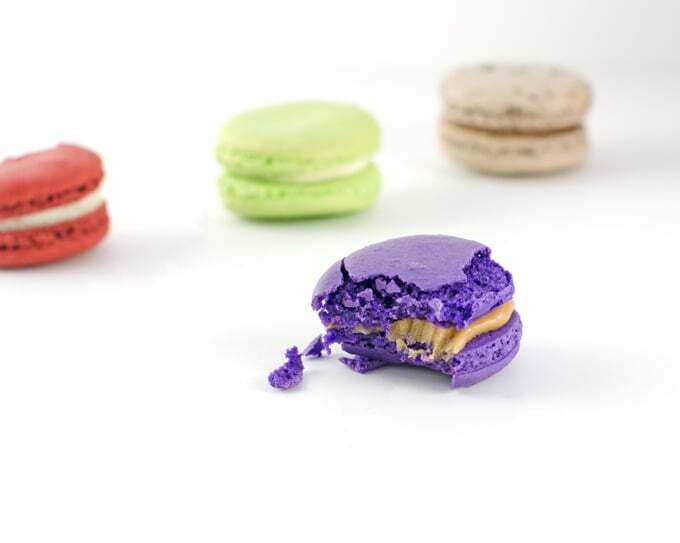 Dana, a trained pastry chef, created these French macarons with American flavors after being inspired due to a lack of variety in flavors of traditional macarons. 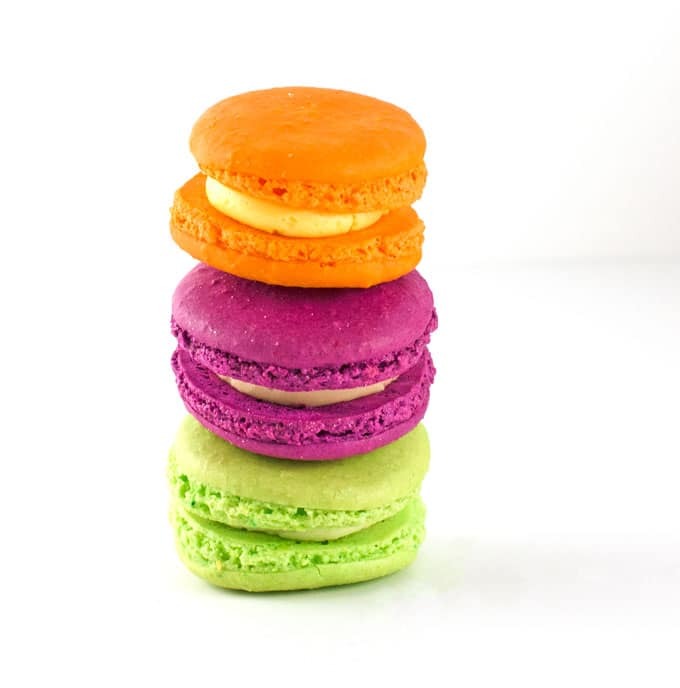 Dana’s Bakery macarons are available in a variety of flavors, including year-round flavors, limited time and seasonal flavors, and flavors of the month. Price: Price ultimately varies on the amount of macarons you buy. The box I got is what you would receive in a monthly subscription box with 12 macarons for $30 + shipping. You can get these subscription boxes month-to-month, a 3-month subscription for $90, a 6-month subscription for $180 (plus 1 free month), or a 12-month subscription for $360 (plus 2 free months), plus shipping. You can also purchase custom boxes, themed boxes, macaron towers, and even a macaron making kit if you’d like to make a go of it yourself. 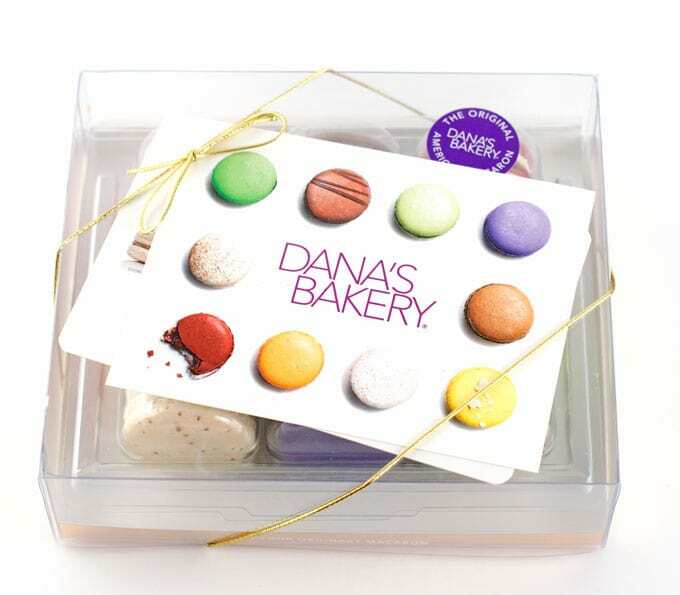 There is a 10% off Dana’s Bakery coupon code when you sign up for their mailing list. Pricing options are a bit high for subscriptions. I’d rather order a few boxes at a time that can be kept in the freezer for around 1 – 2 months. I’ve always found macarons to be such an interesting little sweet treat that’s on the fancier side. If you’ve never had one before, they’re similar to a filled meringue cookie. The exterior of the sandwich cookie is very crisp and gets softer and chewier the closer you get to the center thanks to the filling that is generally a flavored cream, jam, or ganache. 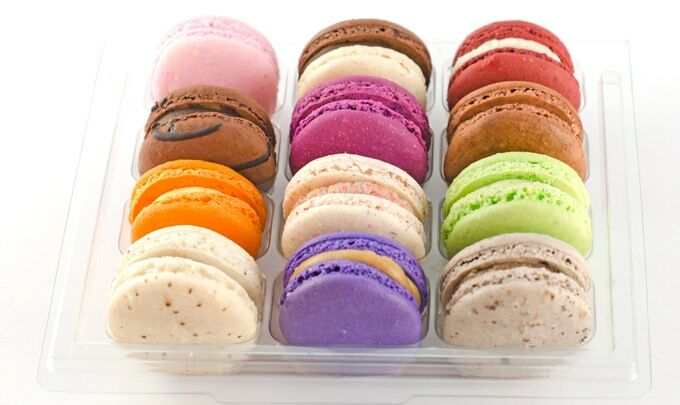 I especially love them because they are usually sold in a variety of flavors and I am terrible at ever deciding on just one flavor and macarons are usually small enough that you can eat 2 or 3 without feeling too guilty. Macarons tend to be rather fragile cookies, so I was quite impressed with how well Dana’s Bakery Macarons held up in shipping. All of the macarons remained whole and were almost too pretty to eat. Mine arrived in a labeled box that had an insulated bag inside with a dry ice pack to keep the macarons fresh and cold overnight. Inside the insulated bag, the macarons are in nice, clear packaging that keeps the macarons separate while still displaying them beautifully. I really like that you can include a handwritten note in the shipment, which is an especially nice touch if you’re giving the macarons as a gift. There was also a card included so that you can match each macaron to its flavor. Dana’s Bakery Macarons are kosher and gluten-free. It is important to note that all the macarons are made with almond flour, which is the traditional way macarons are made. As I previously mentioned, you can order the macarons in a subscription box like the one I received, but you can also purchase custom boxes with the flavors of your choice for yourself or larger events and celebrations. I really like the subscription boxes because there are 12 different flavors to sample, including the flavor of the month. For April 2016, the flavor of the month is Peanut Butter Chocolate. The box I received had the March flavor, which was Cookies & Cream. It was so good that I wish it was a regular flavor. 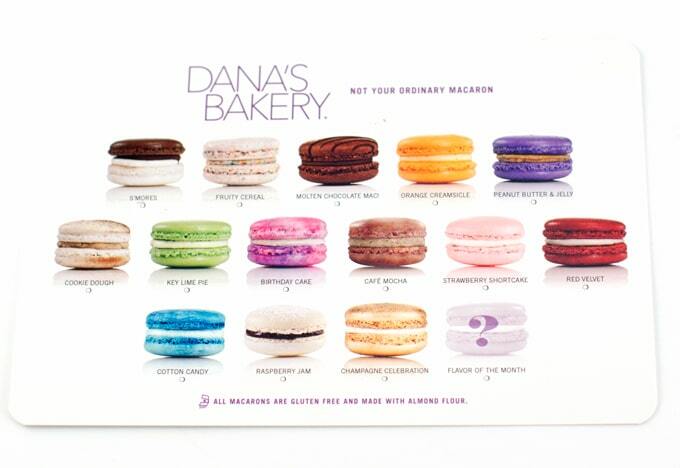 Would I Buy Dana’s Bakery Macarons In The Future? Yes, I would certainly purchase these macarons in the future. They’re a bit more expensive than I would purchase just for myself on a monthly basis. But, I would certainly enjoy them as a gift to myself a few times a year and I know several friends would love these as a gift that’s impressive without being overly expensive. I look forward to seeing what flavors Dana’s Bakery offers in the future. These look so good! I’m tempted to buy a subscription for my subscription review site, with my true motivation being to eat them haha.